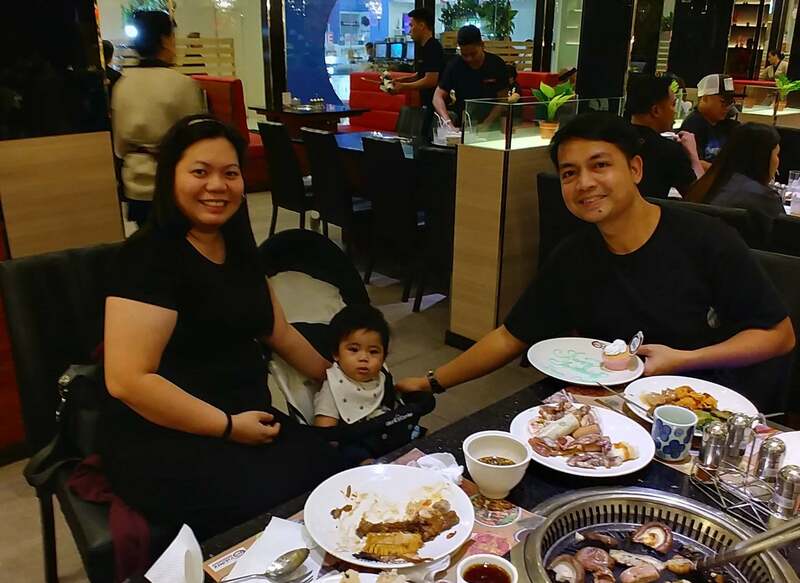 Yakimix recently opened an outlet at Ayala Fairview Terraces Mall and we took the opportunity to try it out for my birthday dinner celebration since we wanted to eat seafood and barbecue. 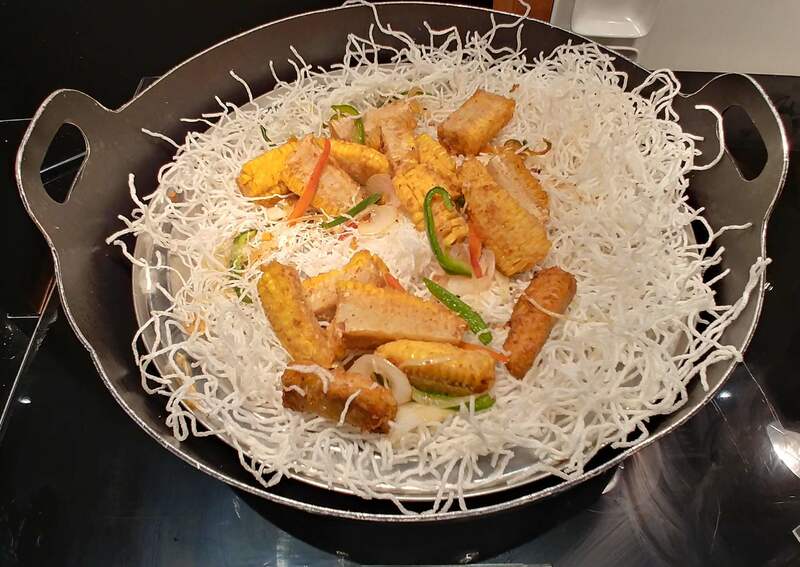 We have always loved Yakimix because it allows diners to enjoy a varied selection of international cuisines, including fresh meat and seafood that you can cook to your liking over the grill. It was a Wednesday evening and there were only a handful of diners so we were immediately able to book a table. 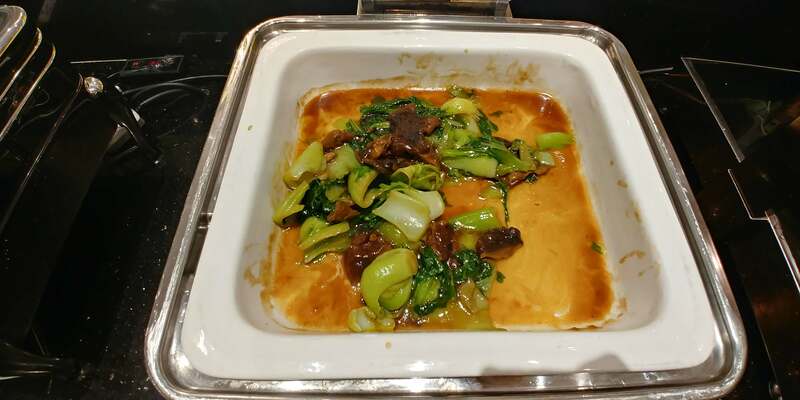 As with other buffet restaurants, I would usually scan the food on display and make a mental note of the ones I liked most. I used to binge eat in buffet restaurants but, as I got older, I learned to focus only on those that catch my fancy. 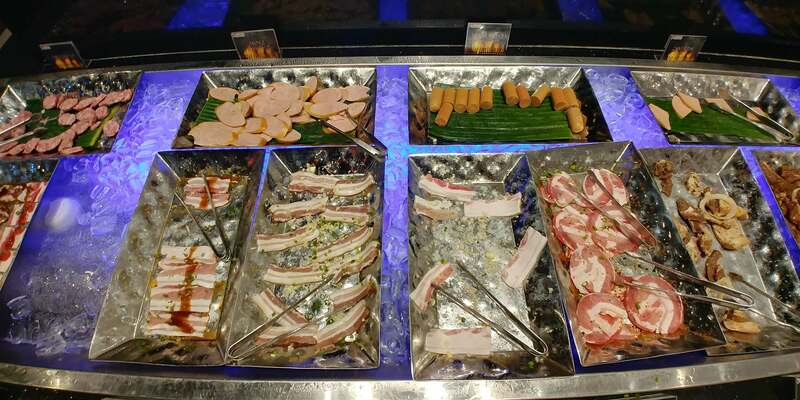 Nowadays, I just get a slice or two of meat from the carving station, a lot of seafood, cheeses, some interesting international cuisines, and dim sum. 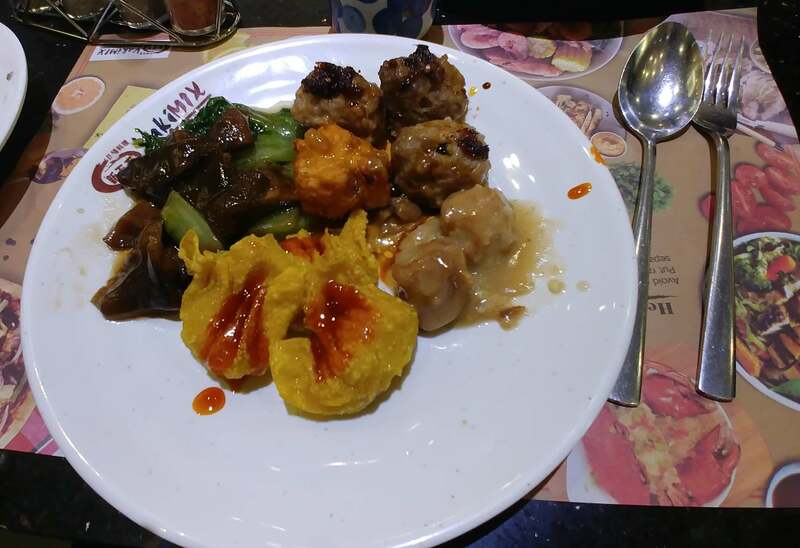 Anyway, when we were at Yakimix, I got lechon kawali, mushrooms, a few pieces of streamed dim sum, and meatballs. 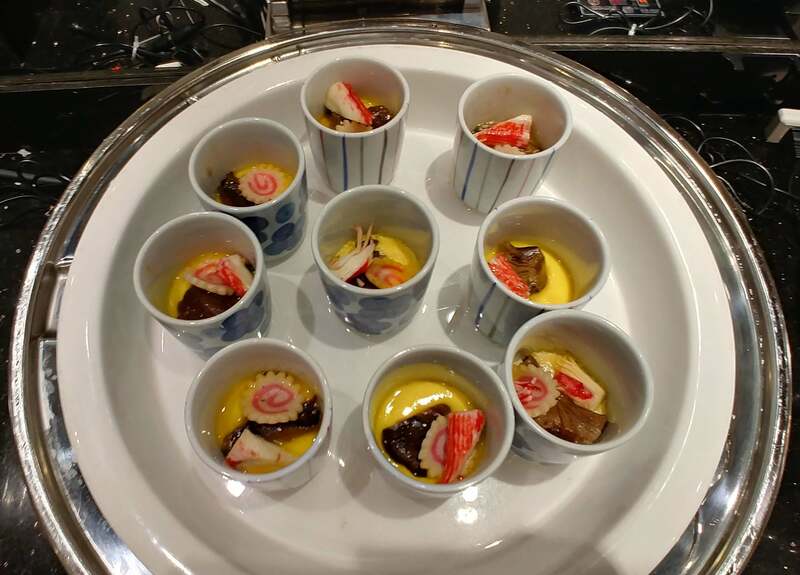 I was also delighted to find out that chawanmushi, savory steamed egg custard, was on offer so I helped myself to two servings. The fresh seafood and meat section was surprisingly wide-ranging although, if I remember it correctly, it was not as extensive as those in Yakimix’s BGC and Glorietta outlets. 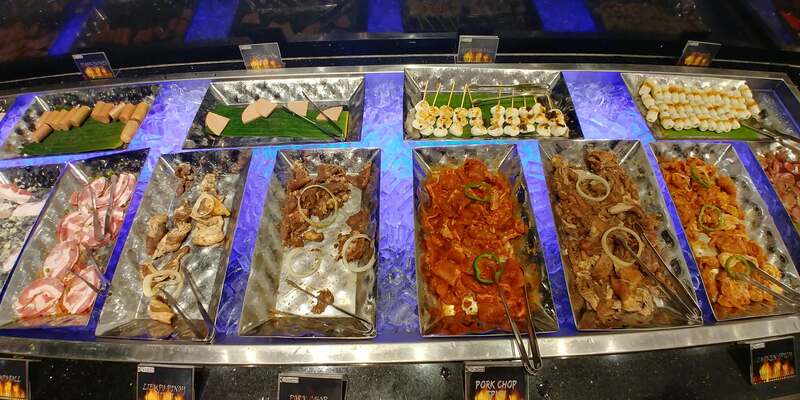 No matter, the assortments were still enough to satisfy your taste buds for barbecue. 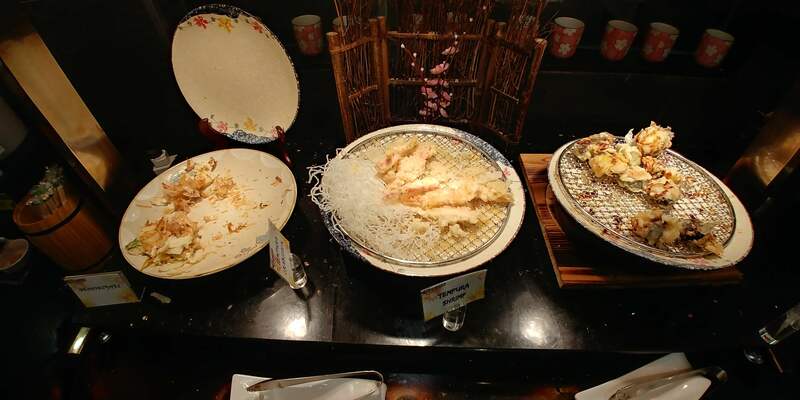 The pork and beef strips, the shrimp and squid, and the mushrooms are our perennial favorites. After filling our plates, there was nothing left to do but to grill away and enjoy the rest of our feast while we wait for the food to cook. 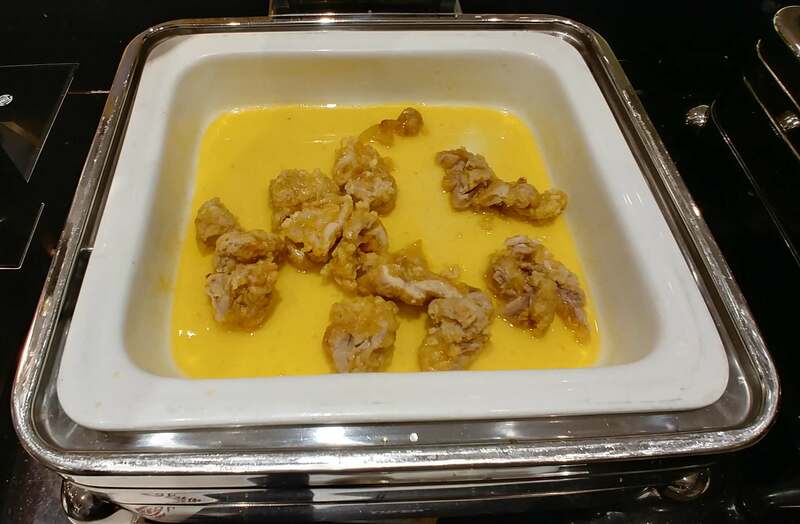 There were a variety of sauces that guests may choose from in order to enhance the flavor of the meats. I personally helped myself to servings of kimchi which I find goes really well with grilled dishes. We capped our meal with pastries, ice cream, and fruits from their dessert section. The brownies, in particular, were moist and chewy. We also helped ourselves to cups of coffee courtesy of the Nespresso machine. 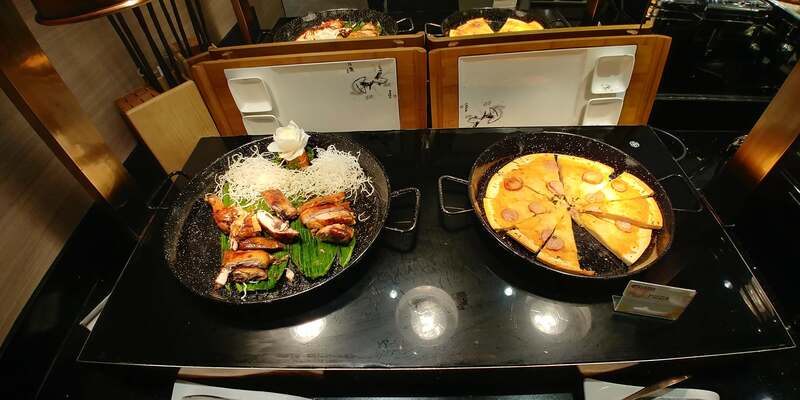 It was interesting to note that during the night when we were at Yakimix in Ayala Fairview Terraces, the place was not too crowded so it did not feel like we were battling it out with fellow diners. At some point though, I hope that this Yakimix outlet would be able to build its customer base because, well, they are running a business and they need patrons to sustain their earnings. 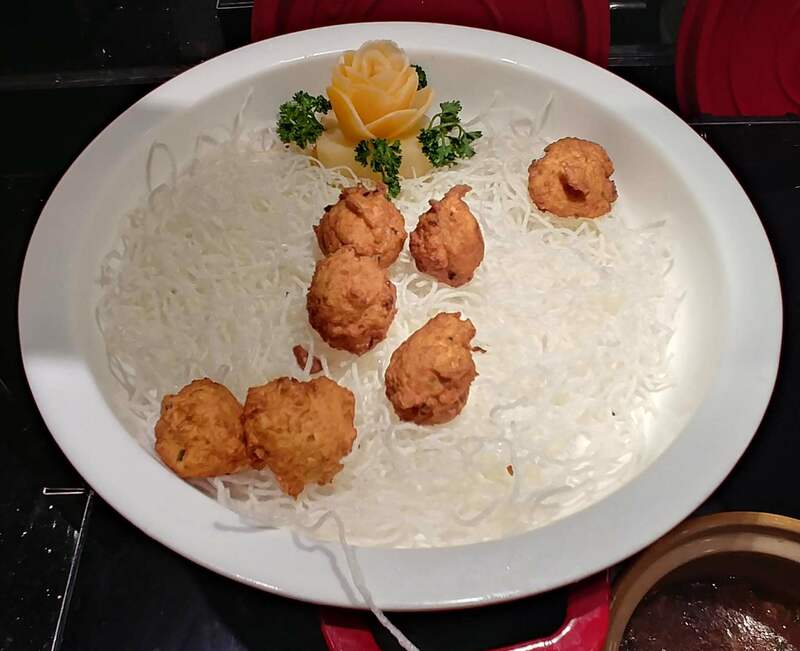 It’s always good to have a reliable buffet restaurant within the area where we can celebrate special occasions. The price is around Php600++ per head; not bad considering the number of selections at Yakimix. Service was also fast; the staff were very attentive. Overall, we were happy because we celebrated my birthday here at Yakimix Ayala Fairview Terraces. To view the complete list of Yakimix's branches, please click here.